Rock climb or ice climbing in and around Breckenridge Colorado's Rocky Mountains it a fantastic experience. 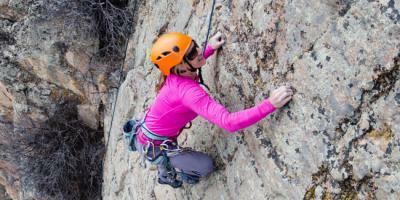 Explore the thrill of rock climbing or ice climbing with professional guides that will teach you the skills needed in the area of Breckenridge Colorado rock and ice climbing. Great for the family, singles, groups, and corporate teambulding. with all the outfitters, your saftey is their number one concern. A sport for your summer or winter vacation or outing in Breckenridge area. We pride ourselves on the strong background of guiding experience in our staff and enjoy teaching climbers of all levels!